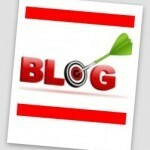 Blogging Tips 1: Do you know what guest blogging is and how it can be used as an effective business SEO strategy? To be in the SEO top page rank (PR) may take effort, goal setting, scheduling, and time, but it will prove worth it. Find a blog similar to your information and ask if you can become a Guest Blogger. If your are allowed to put your URL address either in the address area or the comment area – this will become a link back. Blogging Tips 2: Make relevant comments on blogs that are similar to yours – and again you will get those link backs! These are in-bound links to your site and remember in-bound links are another great piece for your SEO. Sites similar to yours – for me it might be building client relationships for small businesses and I would go in see what they are saying and make a comment as a small business mentor – promoting my business and expertise. How to go about this – what is the strategy to make sure these blogging tips work for you? If you did this just 2 or 3 times a week – when people see your name (or the name of your blog) and they will be curious about your site and may visit or even subscribe to your site. 1. 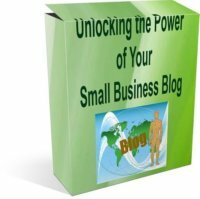 Write 3 blog posts on your own blog each week – on the same days is what I’ve heard experts say. 2. Write comments and see if you can be a Guest Blogger. Post 3 times a week as comments on different sites. 3. Write and submit articles online – 20 times a month. Ouch sounds like a lot – and it is a lot of good for your business. I have read the analytics for my site after an article is accepted, and…the visitors almost double! These are some strategies that are call ‘organic’ (= no money involved here) SEO and I have been on Page 1 of Google a few times using these methods! To help you achieve these objectives? · Tell others what your goal is – so you can be held accountable – make it a routine, a habit – it is part of your job – it will be part of your success. Your Small Business In 30 Days or Less. I am going to reveal my simple, step-by-step system so that YOU can tap into this low-cost, high-impact strategy.